Home News How Can CCTV Help You? How Can CCTV Help You? There are many advantages to installing a CCTV in your own home, they may well be common in non-residential facilities, but protecting your property and assets is equally as important. There are many benefits associated with installing CCTV in your home, so don’t buy into the “it won’t happen to me” mentality. Get your home secured now. From the outset of installation your home and its security will be immediately improved. 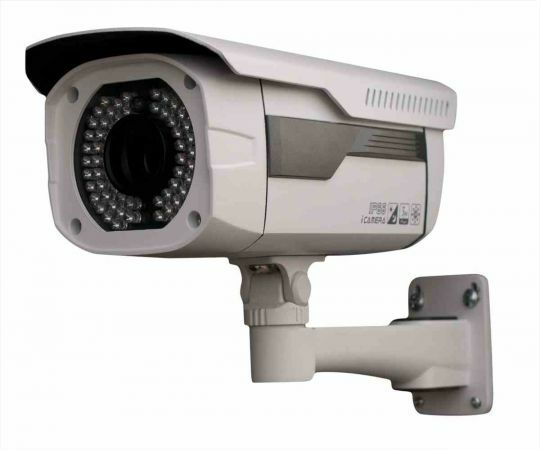 A CCTV systems works by recording and transmitting footage simultaneously. The benefit of this is two-fold, firstly it means that you can watch exactly what is going on in your own home and secondly you can keep an eye on what is happening on your premises in real time. Another distinct advantage of a CCTV system is that it will reduce the cost of your home insurance. Insurance companies love home security systems and will regard your home as a much safer and secure place, often resulting in lowering the premium you pay. Finding the right system for you is important, but once a professional has given you all the advice you need it’s a cost that will only benefit your future security as well as any potential outlay if you were to be broken into. As a source of evidence, CCTV material is excellent, the system will record any events as they happen, capturing anything untoward on tape. It is possible to view everything that has taken place so if anyone did break and enter your home the thief would be caught on one of the cameras that were installed. This can then be used as evidence against an intruder. CCTV can also be used to survey areas of your home that cannot always be viewed so easily, hidden gateways, rear entrances, driveways, garages and gardens would all benefit from this system of protection. A camera placed over your front door is also useful as it will enable you to see who is at the door before opening it. This type of camera can also be set to scan an area over varying periods of time. CCTV systems that have advanced technology can allow you to view what is going on in your home without you being there. This type of system allows you to see the recording over the internet so even if you are away you can feel happy in the knowledge that your home is monitored and protected. Price is no longer a prohibitive issue either, it is possible to match your budget to a system appropriate to you. Due to advances in manufacturing this form of technology has been made more accessible to everyone. Before purchasing your camera determine why you want one and where it will go, along with a budget. It could be that you would just like to observe the comings and goings on your property or do you want to be able to specifically see faces? Some homes are more suited to wireless cameras and others would like both indoor and outdoor surveillance. Establishing your requirements is the first task, then consult an expert to guide you through the buying process. Above all protecting your environment is a must. Harry Price is a freelance writer living on the south coast, with his wife and 3 dogs. He loves long runs along the coast and his dogs double as his training buddies.